Major U.S. military exercises with South Korea have been ‘suspended indefinitely,’ Agence France Presse reported Thursday, citing a senior U.S. official. The Pentagon did not immediately comment on the report. However, the department has repeatedly indicated over the last two days that it was working toward fulfilling President Donald Trump’s direction that the exercises be cancelled. “We are working to fulfill the President’s guidance. The Department of Defense is aligned and continues to work with the White House to ensure we provide options that meet the President’s intent,” Pentagon spokesman Marine Corps Lt. Col. Christopher Logan said in a statement. After meeting with North Korean leader Kim Jong-Un in Singapore earlier this week, Trump called the military exercises “provocative” and said the U.S. would stop conducting them if North Korea carries out its pledge to denuclearize. On Wednesday, House Armed Services Committee Chairman Mac Thornberry, R-Texas, said he was not concerned by the president’s move to suspend major exercises with South Korea. 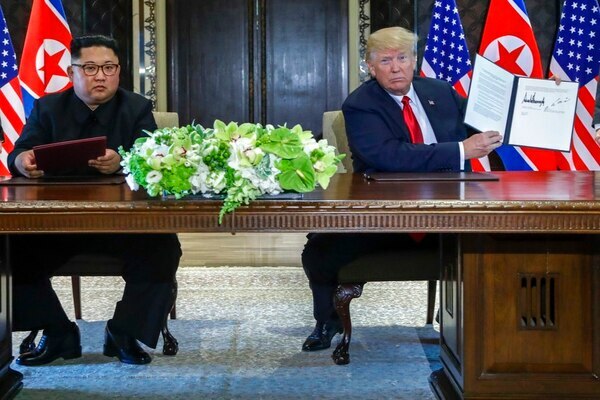 Thornberry also said he expects lower-level military training to continue throughout the negotiations with North Korea, and for major joint exercises to resume if the White House feels that North Korean officials aren’t making enough progress. 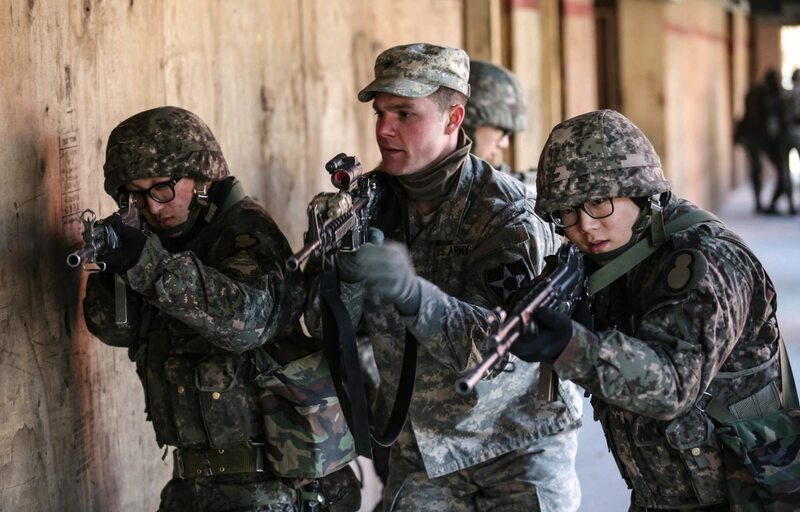 The exercises play a role in maintaining the readiness of U.S. forces in the Pacific and are an important part of South Korean and U.S. efforts to conduct joint operations. The next exercise, Ulchi Freedom Guardian, has been in the planning for months and involves more than 17,500 U.S. forces. It was set to begin in August.